The Maya actually never made a single prediction related to an apocalypse, but it is claimed by 2012 proponents that the Maya could predict future events. The accuracy of this claim appears to hinge on the type of prediction that is claimed. One problem with proponents is that they generally fail to cite references, so that the claims of various predictions being made are difficult to impossible to reference and check. As we said on the Why 2012? page, the the idea of an apocalyptic event on December 21st, 2012 is intimately tied to the Mayanism belief system. This belief system assigns the Maya culture with almost god-like properties. Some of the things that are frequently claimed are that the Maya invented the Mesoamerican calendar, that they understood the precession of the equinoxes, and that they made predictions (or prophecies) which have come true. 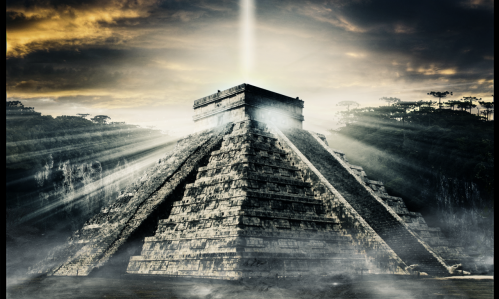 Since the belief system of Mayanism relies heavily on the calendar of the Maya, an examination of that calendar should help us determine the accuracy of some of these claims. This apocalyptic interpretation of the Long Count calendar end-date is widely disputed, with most scholars insisting that it simply marks a resetting of the calendar to Baktun 13.0.0.0.0. Here is an example you can try: Begin counting seconds. Note what happens at 100 seconds. Is that moment more or less significant than any other moment? What about 1000 seconds? A final word of caution about Mayanism: before we ascribe superior knowledge and insight to the Maya, we should carefully examine their entire culture. If we do so, we learn that the Maya had many beliefs that we find ridiculous today. For example, that if a child is born during the Uyaeb, it would be doomed to a miserable life. The Maya also practiced ritual bloodletting and human sacrifice. It appears to be true that the Maya could predict certain astronomical events (such as eclipses and transits) but this skill is not unique to the Maya. The ancient Babylonians could make those predictions as well, and did so much earlier than the Maya. The MUL.APIN lists the names of 66 stars and constellations and further gives a number of indications, such as rising, setting and culmination dates, and it dates to 1000 BC. 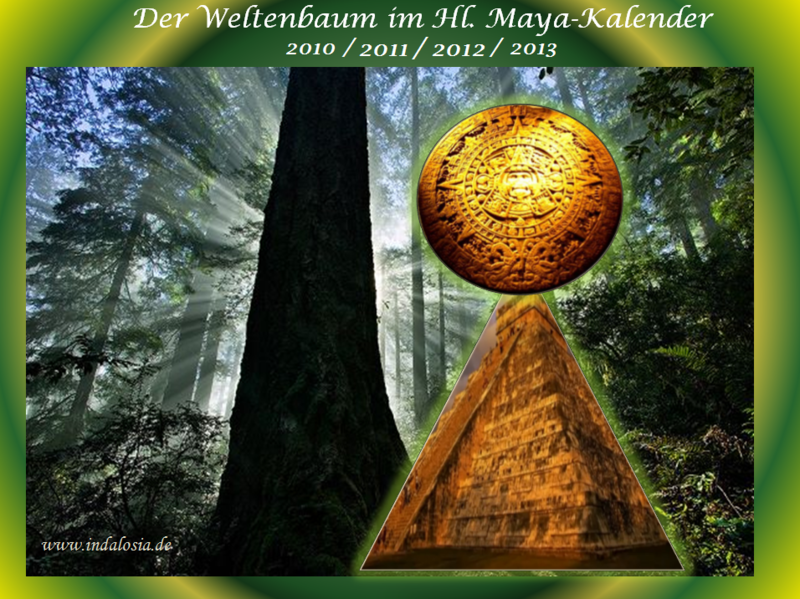 Some authors have claimed that the Maya understood the precession of the equinoxes, and that their long count calendar was deliberately designed to 'end' on the December solstice, 2012. As best we can tell, the evidence for this claim is that the long count calendar ends on the December solstice, 2012. Even that is in question, as Stephen Houston (above) places the 13 Baktun on December 10th! One might as well claim that the designers of the Gregorian calendar designed it so that January 1st, 2000 fell on a Saturday, therefore Saturday was of significant importance to them. The Maya track record as far as other events appears to be more subjective. 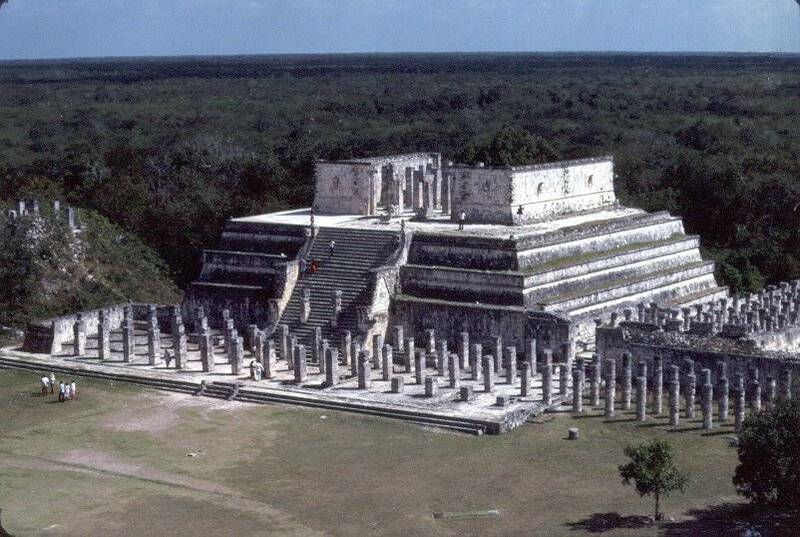 For example one proponent claims that in 755 AD, Maya Priests prophesied that the total solar eclipse of July 11, 1991 would herald two life altering events for humankind - Cosmic Awareness and Earth Changes. While there was in fact an eclipse on that date, the other part of the prediction would appear to be a judgment call. 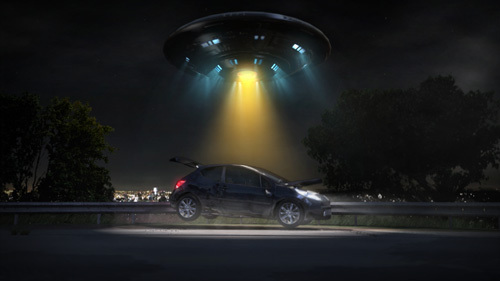 However, they claim that this prediction was fulfilled by UFO sightings! A New Age interpretation of this transition is that this date marks the start of time in which Earth and its inhabitants may undergo a positive physical or spiritual transformation, and that 2012 may mark the beginning of a new era. Others suggest that the 2012 date marks the end of the world or a similar catastrophe. 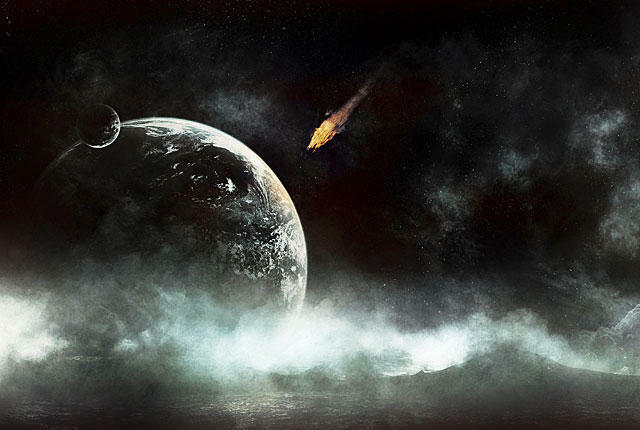 Scenarios suggested for the end of the world include the arrival of the next solar maximum, an interaction between Earth and the black hole at the center of the galaxy, or Earth's collision with an object such as an asteroid, or a planet called "Nibiru". Scholars from various disciplines have dismissed the idea of such cataclysmic events occurring in 2012. 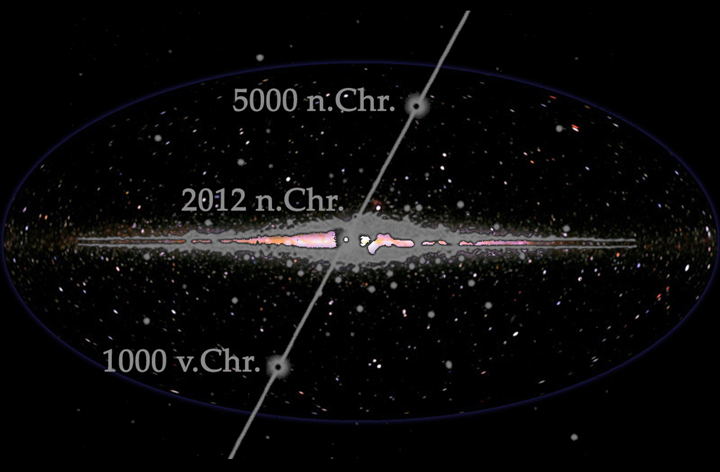 Professional Mayanist scholars state that predictions of impending doom are not found in any of the extant classic Maya accounts, and that the idea that the Long Count calendar "ends" in 2012 misrepresents Maya history and culture.Astronomers and other scientists have rejected the proposals as pseudoscience, stating that they conflict with simple astronomical observations and amount to "a distraction from more important science concerns, such as global warming and loss of biological diversity". December 2012 marks the conclusion of a b'ak'tun a time period in the Mesoamerican Long Count calendar which was used in Central America prior to the arrival of Europeans. Although the Long Count was most likely invented by the Olmec, it has become closely associated with the Maya civilization, whose classic period lasted from 250 to 900 AD.The writing system of the classic Maya has been substantially deciphered, meaning that a corpus of their written and inscribed material has survived from before the European conquest. There is a strong tradition of "world ages" in Mayan literature, but the record has been distorted, leaving several possibilities open to interpretation. According to the Popol Vuh, a compilation of the creation accounts of the K'iche' Maya of the Colonial-era highlands, we are living in the fourth world. The Popol Vuh describes the gods first creating three failed worlds, followed by a successful fourth world in which humanity was placed. In the Maya Long Count, the previous world ended after 13 b'ak'tuns, or roughly 5,125 yearsThe Long Count's "zero date"was set at a point in the past marking the end of the third world and the beginning of the current one, which corresponds to 11 August 3114 BC in the proleptic Gregorian calendar.This means that the fourth world will also have reached the end of its 13th b'ak'tun, or Mayan date 13.0.0.0.0, on 21 December 2012.In 1957, Mayanist and astronomer Maud Worcester Makemson wrote that "the completion of a Great Period of 13 b'ak'tuns would have been of the utmost significance to the Maya". In 1966, Michael D. Coe wrote in The Maya that "there is a suggestion ..that Armageddon would overtake the degenerate peoples of the world and all creation on the final day of the 13th b'ak'tun. Thus ... our present universe [would] be annihilated in December 2012 ,when the Great Cycle of the Long Count reaches completion." The Tortuguero site, which lies in southernmost Tabasco, Mexico, dates from the 7th century AD and consists of a series of inscriptions mostly in honor of the contemporary ruler Bahlam Ajaw. One inscription, known as Tortuguero Monument 6, is the only inscription known to refer to b'ak'tun 13. Very little is known about the god Bolon Yokte'. According to an article by Mayanists Markus Eberl and Christian Prager in British Anthropological Reports, his name is composed of the elements "nine", 'OK-te' the meaning of which is unknown, and "god". Confusion in classical period inscriptions suggests that the name was already ancient and unfamiliar to contemporary scribes. He also appears in inscriptions from Palenque, Usumacinta, and La Mar as a god of war, conflict, and the underworld. 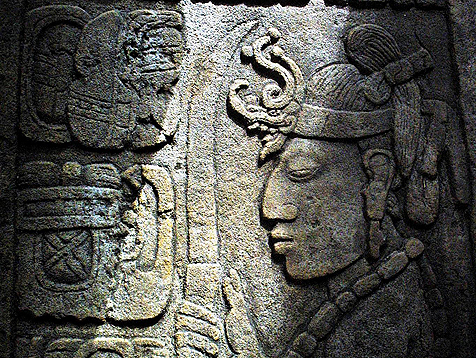 In one stele he is portrayed with a rope tied around his neck, and in another with an incense bag, together signifying a sacrifice to end a cycle of years.Based on observations of modern Mayan rituals, Gronemeyer and MacLeod claim that the stele refers to a celebration in which a person portraying Bolon Yokte' K'uh was wrapped in ceremonial garments and paraded around the site. There is widespread and unnecessary fear of doomsday on December 21, 2012. Some people worry about a Maya prophesy of the end of the world, others fear a variety of astronomical threats such as collision with a rogue planet. Opinion polls suggest that one in ten Americans worry about whether they will survive past Dec 21 of this year, and middle-school teachers everywhere report that many of their students are fearful of a coming apocalypse. Following are brief facts that address these doomsday fears. 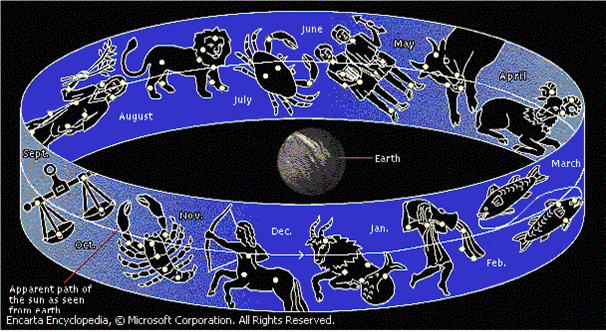 Mayan Calendar: The Maya calendar, which is made up different cycles of day counts, does not end this year. Rather, one cycle of 144,000 days (394 years) ends and the next cycle begins. 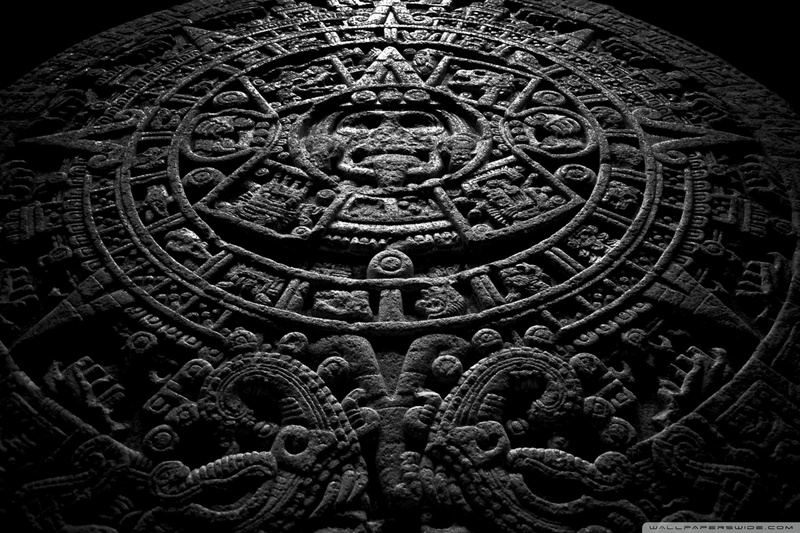 Mayan Prophecy: The ancient Maya did not predict the end of the world or any disaster in December 2012. Such doomsday predictions are a modern hoax. Planet Nibiru: Nibiru is probably the minor name of a god found in ancient Mesopotamian writing. There is no planet named Nibiru, and the fictional books by economist Zecharia Sitchin about a civilization on this planet are a hoax. Rogue Planet Headed for Earth. For the past decade there have been reports of a rogue object (Planet X, or Nibiru, or Hercubolus, or even Comet Elenin) that will collide with Earth in December 2012. These claims are not true. If such a threatening world existed, it would be one of the brightest objects in the sky, and astronomers would have been tracking it for years. If it existed, its gravity would be distorting the orbits of planets, especially Mars and Earth. Astronomers know that it does not exist. Planet Alignments: There is no alignment of planets in Dec 2012. There is an approximate lining up of the Earth and Sun and the center of our Galaxy in late December, but this happens every year. In any case, planet alignments have no effect on the Earth. Pole Shift: There is nothing strange this year about either the magnetic poles or the rotational poles of the Earth. The magnetic polarity changes every million years or so, but that is not happening now, and it probably takes thousands of years when it does happen. A sudden change in the rotational axis has never happened and is not possible. If there were any change in the Earth’s rotation, it would be instantly apparent by failure of our GPS systems. Increasing Disasters. Our planet is behaving normally in 2012, although we see more and more news stories about natural disasters. There has been no increase in earthquakes or volcanic eruptions. There has been an increase in extreme weather, including both droughts and floods, which are partly attributable to global warming, but this has nothing to do with a 2012 doomsday. Solar Outbursts: The Sun’s ongoing 11-year activity cycle is expected to peak in 2013, not 2012. Solar outbursts (flares and CMEs) can damage orbiting satellites but will not hurt us on the surface. The strength of the 2013 solar maximum is predicted to be lower than average, not higher. Bunker Conspiracy: Accusations of a massive government cover-up are nonsense. No government could hide an incoming planet or silence hundreds of thousands of scientists. Rumors that huge bunkers have been built in the U.S. or elsewhere to shelter the elite are lies. Apparently a few people are building private shelters, but their fear of 2012 is misplaced and they are wasting their money. 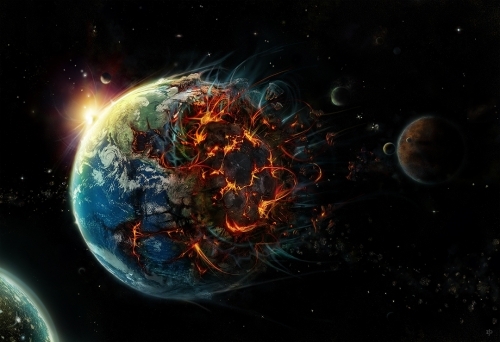 The End of the World: The idea of the sudden end of the world by any cause is absurd. The Earth has been here for more than 4 billion years, and it will be several more billion years before the gradual brightening of the Sun makes our planet unlivable. Meanwhile there is no known astronomical or geological threat that could destroy the Earth. Cosmophobia: Many young people write to me that they are scared of astronomy. When they read about some new discovery, the first thing they think is that it might hurt them, even if it is happening in a distant galaxy. There is no reason for such fears, which I call cosmophobia (fear of the universe). This rash of concern seems to be the result of too many conspiracy theories and sensational stories featured on the Internet and irresponsible news outlets. Astronomical objects are so distant that they cannot threaten the Earth. Please don't be afraid of the Sun or the planets or comets or asteroids. The universe is not your enemy.